Hello Everyone!! It's Lindsay from the DT here on the blog today, sharing my second card for the #cddmonthly Challenge!! If you haven't yet entered a card of you own into the challenge, be sure to head over to the Facebook Group and check out all the details because there are some awesome prizes to be had not to mention the mood board is a fabulous starting point for any card!! For my card today I used the mood board for inspiration to create a four section shaker card using one of the newer dies that has been added into the CDD Shop and was actually a freebie during last month's release! You can watch the video tutorial below for all the details!! First, I started creating a Distress Inked Background. Using an A2 sized piece of watercolor paper, my mini ink blending tool and four different Distress Inks, I sponged a fun and vibrant background. My color choice were, of course, pulled from the fantastic mood board for this month, so I used Dusty Concord, Mermaid Lagoon, Twisted Citron, and Picked Raspberry. For the shaker portion of this card, I first sectioned off the white card stock "Fancy Frame" die cut into four equal sections. 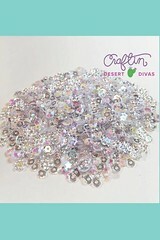 Then, using the Cactus die, I die cut one cactus into each sections center. To put my shaker together, I first put down one large piece of acetate on the back of the die cut. 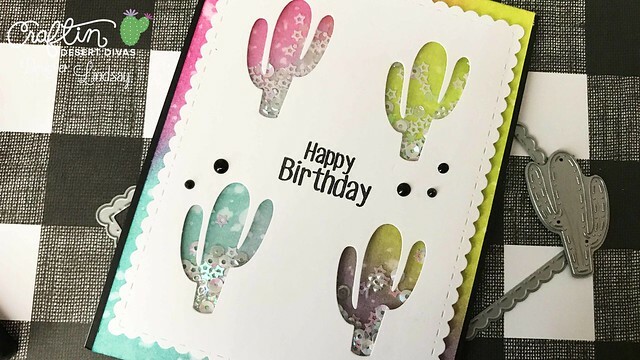 Using fun foam and double sided adhesive I sectioned off each individual cactus so it was it's own little shaker, filled each section with sequins from the Fairy Dust Sequin Mix, and then put the now colorful background face down on the back to hold everything together. To finish this card off, I simply covered the front of an A2 top folding white card base with black card stock, and then centered the shaker panel on the base too. 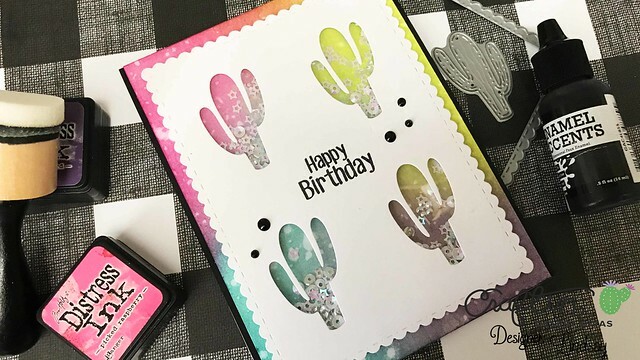 Using the Happy Birthday sentiment from the Simply Said Stamp Set, I stamped in black dye ink in the center of the cacti. The final touch to this card were a few drops of Enamel Accents in Black Tie. Creating a sectioned shaker is a little bit of change from your normal interactive card. 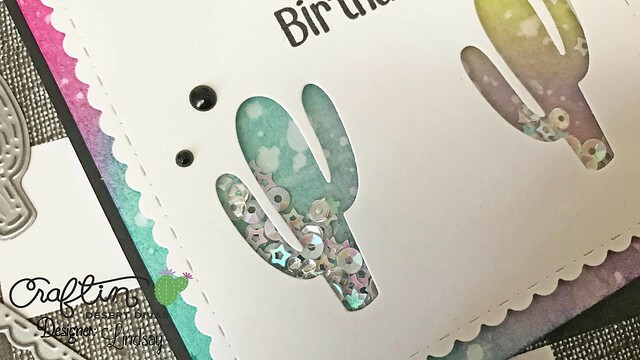 And even though I only used one sequin mix on this card, this would be a fun way to really use up different mixes on the same card! I hope you all enjoyed the video tutorial for today and it inspires you to create a card of your own and enter it into the #cddmonthly challenge!! If you are interested in any of the CDD Products I used on my card today, you will find them all linked below! Until next time, Happy Crafting! !